Yesterday Russian newspapers reported that the much-loved former World Champion, Boris Spassky has suffered a stroke and is in critical condition. CLO wishes him a speedy and full recovery. For more details, see chessbase and chessvibes. Spassky is a wonderful ambassador for the game and is a frequent guest of honor at major tournaments, including the recent Women's World Blitz. 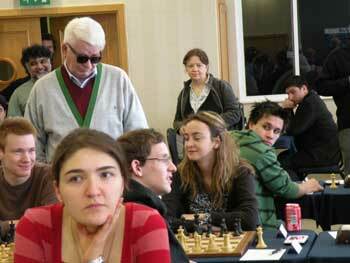 The following shot shows his appearance at the Gibraltar Chess Congress.